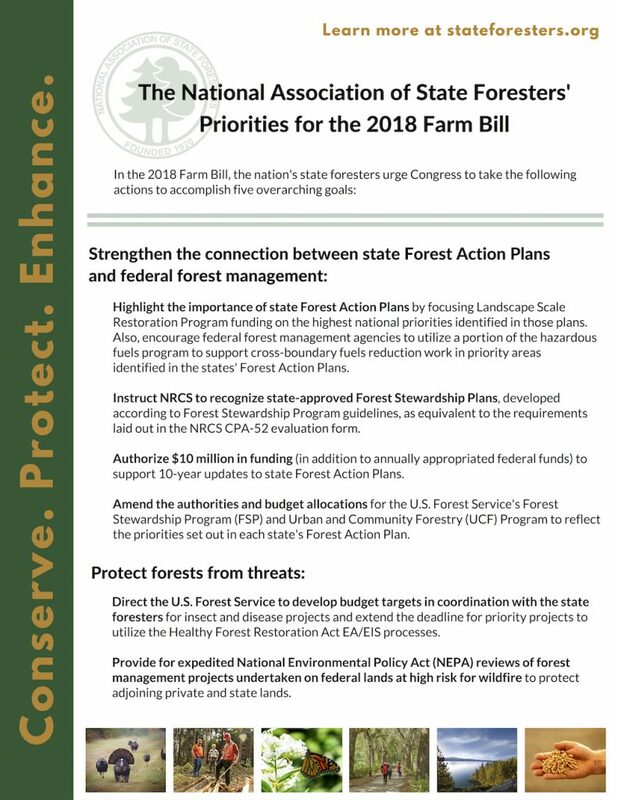 State foresters know that farm bills, and particularly their Forestry Titles, are unique opportunities to support rural America’s economic backbone and improve quality of life for all Americans. The 2018 Farm Bill was introduced in mid-April 2018 and included important conservation provisions that state forestry agencies need to conserve, protect, and enhance America’s trees and forests. In early-December 2018, both chambers of Congress passed the conferenced farm bill, sending it to the president for signature. Read NASF’s take on the final 2018 Farm Bill. Before and throughout the conference committee’s deliberation, NASF advocated for Forestry Title provisions that would support cross-boundary forest management and cooperative forestry programs. Post passage of the FY18 omnibus appropriations, NASF released its updated “Priorities for the 2018 Farm Bill” briefer, pictured at right. When the conferees were announced, NASF once more released an updated platform, to which the Landscape Scale Restoration program was central. 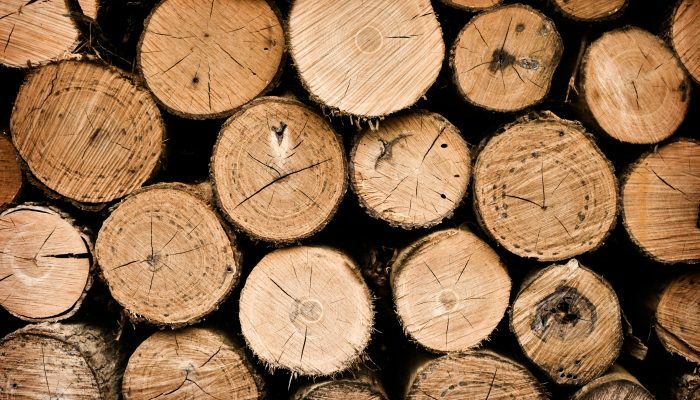 NASF also advocated for a strong Forestry Title through the Forests in the Farm Bill Coalition. NASF is a founding member of this diverse group made up of over 100 conservation, landowner, wildlife, industry, and community organizations. First formed in preparation of the 2008 Farm Bill, the coalition works to ensure the each farm bill addresses key priorities for state and private forestry. The coalition’s 2018 recommendations and its letter of support for the House Agriculture Committee’s bill are linked below.